Elevated off lake vacant lot at Wolf Lake ready to build your dream home. Right of way access is a very short walk to the lake where you can keep your boats and accessories wide enough to ride your ATV down to the lake. The property has 94 frontage and is just short of 1/2 (.49). Property backs to part of the 1500 acres that never be developed. 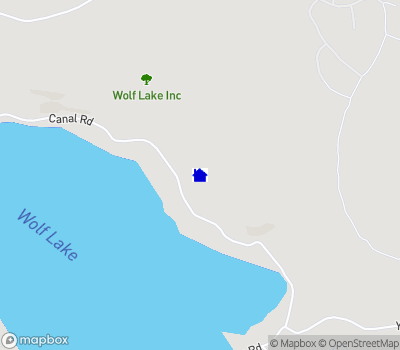 Wolf Lake offer 1500 acres to hike, bike ride ATV and enjoy the wild life. The clubhouse offer a variety of social activities for all. Ballfied and baskeball court. The Hamlet of Rock Hill offers eateries, shopping, post office, liquor store, pharmacy, dunkin donuts, florist and a state of the art Medical Center & Urgent Care Crystal Run Healthcare within 10.